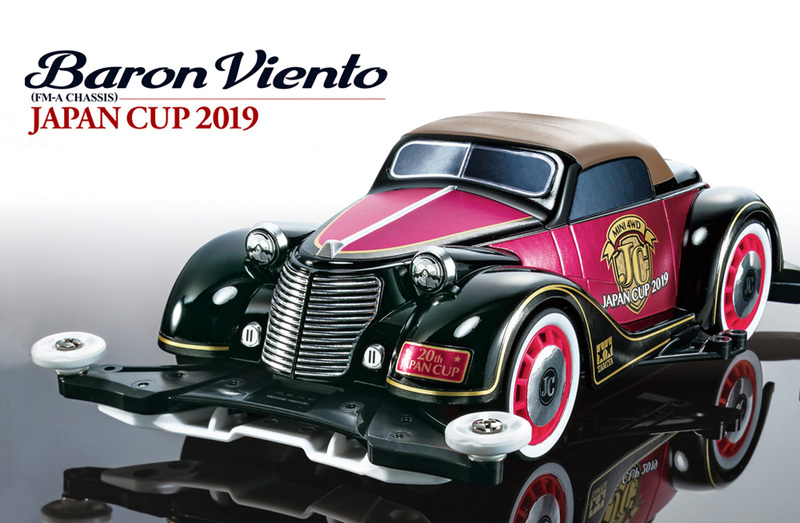 A special limited version of the Japan Cup based on the popular car-style mini 4WD “Baronbient”. The body is made of shock-resistant black color ABS resin, and the machine is finished in a classic and elegant machine different from the racing taste of successive Japan cup models. The FM-A chassis with a front motor layout is used, and the battery holder and gear cover are made of low-friction resin. Also, in addition to the red-colored dish wheel, 26mm super hard low height tires printed with white wall, which is a classic style of classic cars, and metal-type stickers for exclusive use. 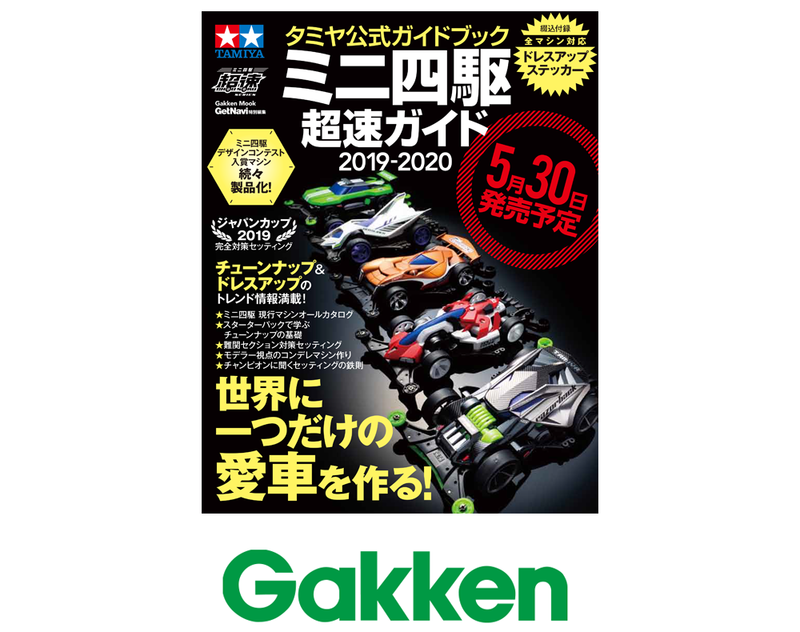 The 2019-2020 version of Tamiya’s Official Mini 4WD Guide will be released to introduce the latest techniques of tune-up and dress-up! 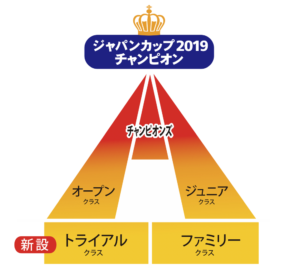 A detailed explanation of the section of the official course “Miracle Ballon Circuit 2019” of the Japan Cup 2019 is also published Many of the winners of the association are also posted. The bonus appendix comes with a specially made sticker that gathers logos of people appearing in the mook. Of course, two types of the Japan Cup commemorative motor, which has become a regular, will also appear. 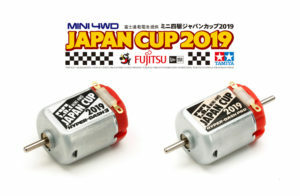 In order to commemorate the holding of the Japan Cup 2019, the motor full of premium feeling which made special design on the motor label and mount. Even as a souvenir, it is an item that is expected to have high demand for racing. 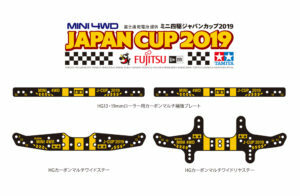 Three popular 1.5mm thick carbon plates (multi wide stay multi wide rear stay multi reinforcement plate) with special colors and gold prints of the Japan cup specification are available as Japan cup specifications. 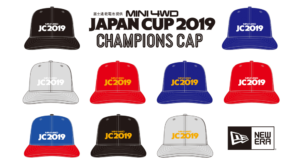 Continuing from last year, it is decided that New Era’s special “Japan Cup Champion Cap” will be presented to junior class, open class and champions winners in each venue and winners of the Competition De Reganz New Era Award! New Era items will be presented to the winners of the Trial Class. 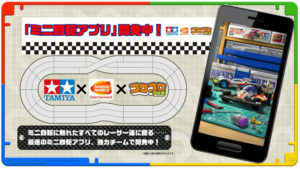 “Mini 4WD” App Store, a new game application for Google Play under development at Bandai Namco Entertainment Inc.! Full-scale races easily with a machine that is realistically reproduced with all the parts and sounds in mind. I can experience it. Please keep an eye on future trends! 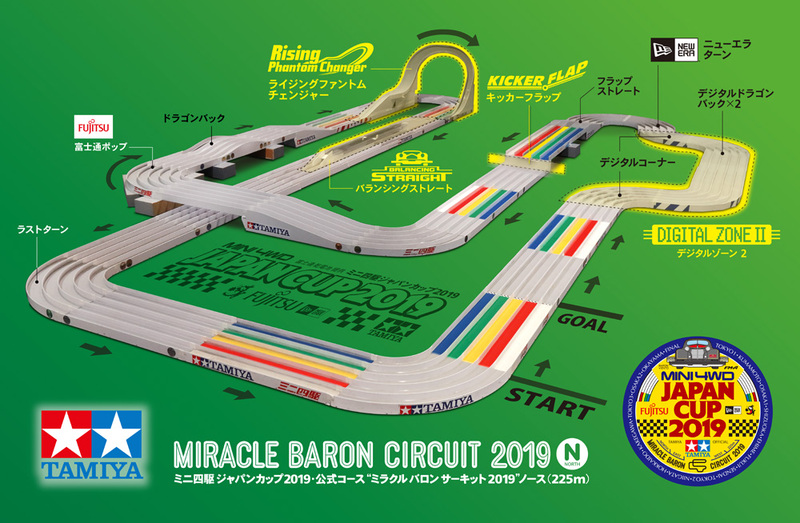 ● Copyright: © Shogakukan © ShoPro © TAMIYA © BANDAI NAMCO Entertainment Inc .
A total length of 225m “Miracle Ballon Circuit 2019” with a number of sections placed in 14 venues across the country. The official course of 2019 has three course layouts: North (North), East (East), West (West) and the division of the tournament area. The course image above is “Miracle Ballon Circuit 2019 North”. We will make timely announcements about other layout images and divisions. Look forward to the follow-up! 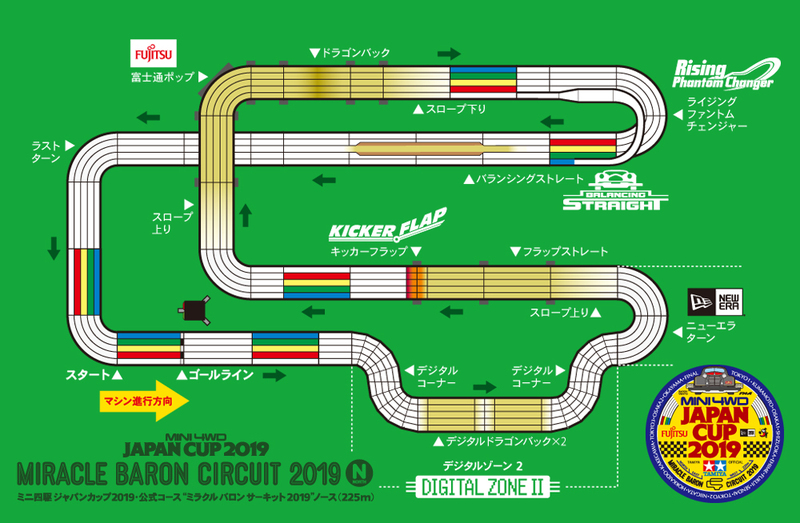 Mini 4WD Grand Prix 2019 Spring “Step Circuit 2019” appeared in the “Digital Zone” is a combined section that was further increased in power and more digital. Two consecutive digital dragonbacks where the machine jumps up and down after two consecutive digital corners where the machine is vigorously shaken to the left to the right are waiting for two more consecutive digital corners. It is important to prevent the deceleration here to put the machine on top speed immediately after the start. Be careful with the second and third laps as you rush into the section with speed. Install a flap-type device in the part where the straight with height jumps discontinuously. A light machine jumps upward without flaps falling, a heavy machine jumps parallel to the track surface with flaps falling. The weight of the machine changes the movement of the flap, and the lightweight machine has the risk of jumping off the course. The weight and angle at which the flap responds may vary from venue to venue. Rare Section “Phantom Changer” is further evolved. The caution section where speed and power are required that the machine on the speed climbs a gentle slope and lands on a wide landing, and then runs up a steep slope with an angle of 60 degrees. The width of both sides of the straight course spreads, the road surface on both sides of the straight of the machine width becomes low, and if it does not run straight, the chassis contacts the road surface and significant speed loss Could lead to Only those sections that have a major impact on the running stability of the machine need careful setting. ● A 90-degree curve named “Fujitsu Pop” with the name of Fujitsu dry battery offering “Fujitsu Pop” Japan Cup. A sharp curve section that looks easy, but doesn’t look like it looks as the machine passes at high speed. A corner bearing the name of the cap brand New Era that supports Champion Cap. The point is to pass the corners smoothly to accelerate the machine towards the second half of the course. An area that uses special materials for the track surface that stands by straight after the up slope. What kind of material is it? Let’s wait for the appearance of the actual course! “Trial class” new establishment! ~ New class to support your “Mini 4 wheel tried”! A new class “trial class” for mini 4WD beginners starts! Among those targeted for the open class, we will establish a “trial class” for those who want to participate in the tournament for the first time and want to enjoy and run “Mini 4WD” and who are not yet competitive. In the trial class, you can enjoy the first qualifying round, the second round qualifying round, and the finals using the same circuit as the open class. The winners of the trial class will not be represented in the Japan Cup Champions match held in October. In addition, Champions certification will not be performed. You may practice warriors while having fun in the trial class, or you may try strong players in the open class. Japan Cup 2019 aims to be a summer festival for racers to enjoy widely! ★ Trial class Recommended for people like this! ※ Trial class, open class is one per competition Only apply and participate. We are also planning to carry out the official competitions after the Japan Cup. This entry was posted in Event Report, Future Releases on April 9, 2019 by admin.